Integrated transport at its best. 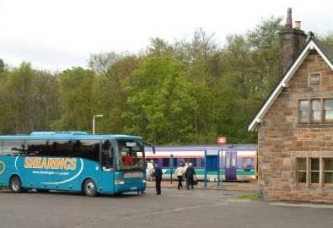 Shearings holidaymakers embarking for their trip to Wick where the coach will meet up with them. Note the revitalised station buildings. 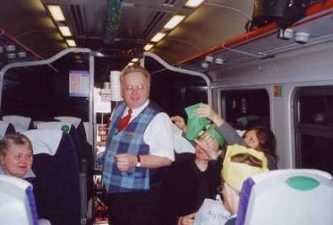 High Spirits and other Festive Frolics on a Christmas time commuter service. Trolley and decorations courtesy of Highland Rail Partnership.